Many employers who are starting out in the construction industry envision themselves buying brand new equipment. Owning your own gear as an employer can be rewarding, but you might think twice about a buy when you take a look at the massive bills that come with buying. While leasing or renting a used forklift might not seem like an incredibly attractive option, it’s often the only option or employers who are just getting started running their own sites. Your forklift-certified employees deserve to be in a safe forklift, and you deserve to get the kind of forklift you need for your business at a reasonable cost. Used forklifts for sale versus for rent come with their own own pros and cons, and the decision boils down to what will work the best for you and your work needs. Judging by the pros and cons, it seems it may be smarter to rent a used forklift, at least to start. A used forklift can be rented on a short term or long term basis and may be easier and less overwhelming for new business owners. 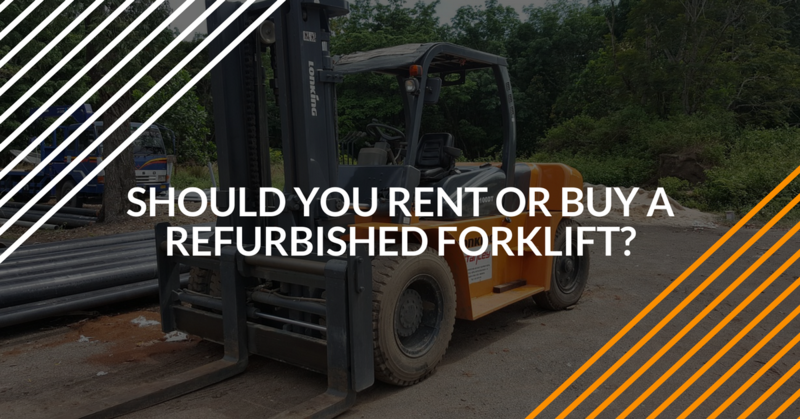 Also, if there are any repairs or replacements needed on rented refurbished forklifts, the rental company will likely provide replacements and repairs free of charge. This leaves you with less worry and less money flying out of your pocket. Once you figure out what works for you and what doesn’t, you can make the decision to buy used forklifts for sale. What Should You Look for in a Forklift? Finding the right forklift comes down to safety and cost. Take some time to think about what components and capabilities are most important to you and the work you’ll be doing. Will you be working indoors in a warehouse and need lifts that can accommodate narrow aisles, or will you be working outdoors on rough terrain? Make a list of your needs and you’ll narrow down your options. It’s really important to make sure you go through a rigorous model checklist for any model of forklift you’re considering. Forklift certified employees require maximum safety, so make a list of the types of things you’d like to see safety-wise in a forklift. If you decide to rent a refurbished forklift, you can present your safety checklist to the dealer and view different types of forklifts that would work for you. Explain that you’re a new business owner and use the experience you have from previous forklift jobs to determine what will best suit your needs. You don’t have to invest in a new forklift immediately. Trying out different models of used forklifts for sale is a smart choice before settling down with any one decision. A new company owner has so much to worry about. Between hiring employees and getting contracts, you probably don’t have time to go out yourself and test every model of forklift out there until you find one that works for you. Some forklift leasing companies are rent to own. Your forklift-certified employees could get used to a machine that you might later buy when you find it’s a good value. Remember that safety standards are set by OSHA, so it’s important to ensure that whatever machine you rent – or used forklifts for sale that you buy – should meet the minimum safety mandates OSHA sets out. A rental agency should be able to prove that the refurbished forklift you’re renting meets these requirements, but it’s always good to check the machine over yourself before it’s driven onto your lot. You should also ensure you keep up a regular maintenance schedule so your forklift rental will hold up to the test of time and meet OSHA requirements. 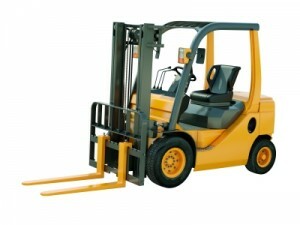 If you need forklift training for your employees, choose the convenient online training from ForkliftCertification.com. Our online program is accessible 24/7 from any device with an internet connection and is self-paced. This format makes it easy and convenient for both operators and employers. There’s no travel involved or any instructors. Keep it easy and affordable with FLC. This post was originally published in 2013 as has been updated as of 2018 to be more comprehensive about forklift buying and renting options.